Woah ! Smack-In-The-Teeth Comeback of the year so far for the Tories paymaster Rupert Murdoch. 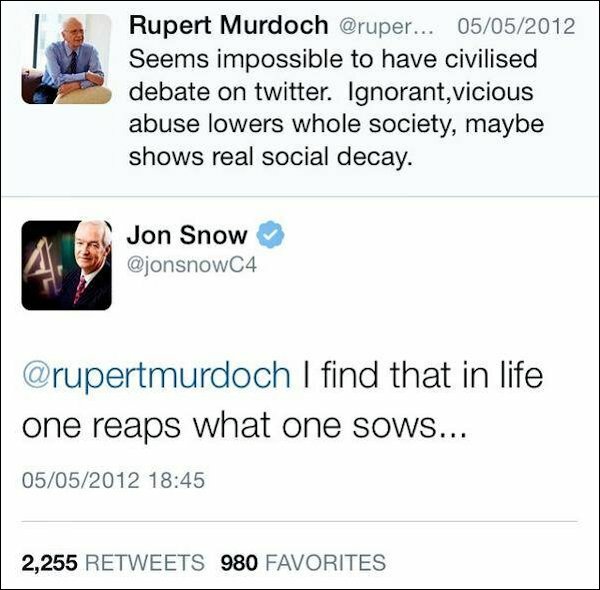 Jon Show (the distinguished Channel 4 journalist, not the Game Of Thrones character) nails it.